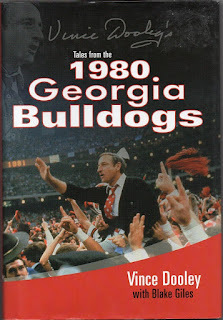 This book, by former Georgia coach, Vince Dooley, along with Blake Giles, is a wonderful find. 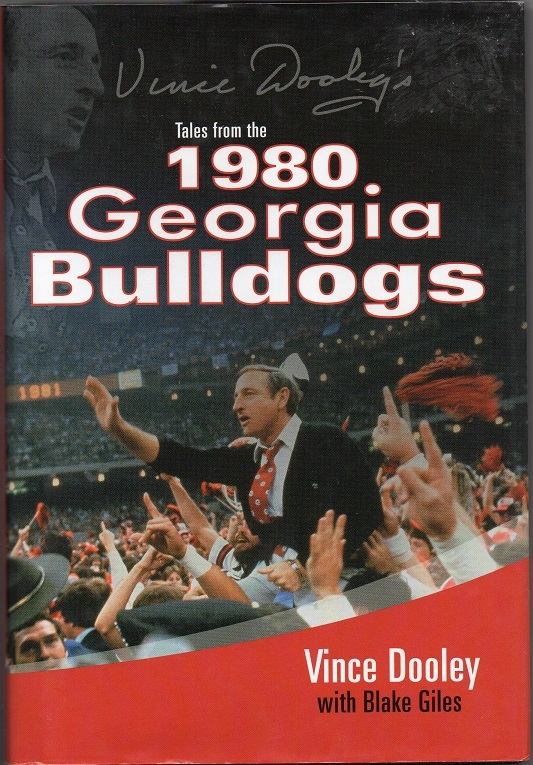 Written in 2005, it describes the NCAA championship season of the 1980 Georgia Bulldogs. Perhaps the most intriguing thing in the book, is that Herschel Walker dislocated his shoulder on the second offensive play of the game, in the 1981 Sugar Bowl against Notre Dame. I have seen films of that game, and that play in particular. Herschel takes a punishing lick as he goes out of bounds on a toss sweep. It's easy to see as his arm is hanging limp, that something is very wrong. The head trainer, Warren Morris, told coach Dooley that Walker was finished for the day. Imagine the thoughts of the players and coaches in the biggest game of the year, now realizing that their star player, the guy who had carried them all season, was out of the game. Herschel would have none of it. He asked the team doctor to try and put the dislocation back into place. Ignoring what had to be intense pain, Walker went on to rush for 150 yards and 2 touchdowns, while the rest of the Georgia offense had negative yardage. The Georgia Bulldogs defeated Notre Dame, 17-10, and Walker was named the game's MVP. When the final votes were tallied, Georgia was named National Champions.